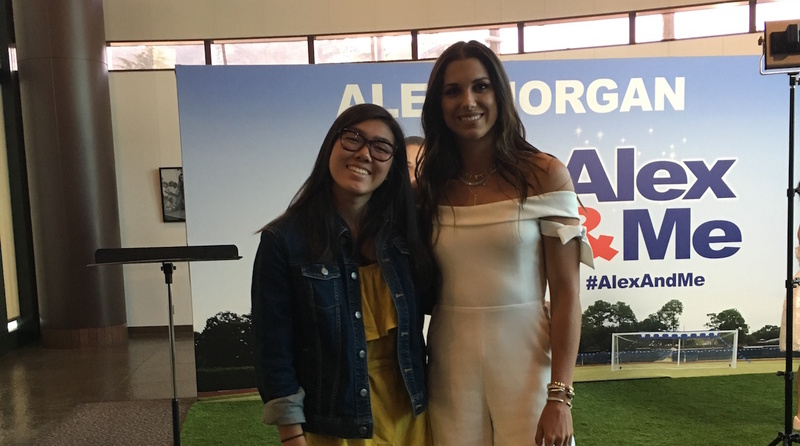 Alex Morgan is an Olympic gold medalist, a World Cup winner, and an international soccer star, and now she can add being a movie actress to her long list of accomplishments with the release of her first movie, Alex & Me. Starring Morgan and Nickelodeon star Siena Agudong, the film, which is out today through digital download and next week on Blu-ray and DVD, premiered in Los Angeles, California, on May 29 to an enthusiastic crowd of American Youth Soccer Organization players. Alex & Me centers around Reagan Wills, a 13-year-old soccer player and self-described Alex Morgan superfan whose dream is to play for her well-known local club soccer team. Feeling overshadowed by her older brother, who is a star high school football player, Reagan longs to share the attention from her parents. After not making the cut for the team, Reagan is told that her chance to play club soccer is over. However, she realizes that her dream is still alive when she actually meets Morgan. While training with Morgan, Reagan realizes that with motivation and perseverance, she can lead herself, and her team, to victory. Morgan has been in front of a camera for most of her career, whether during games or for interviews, but this movie marks her debut as a both an actress and an executive producer. Because of her rigorous training schedule, she worked with an acting coach for only a few days and was able to accomplish filming her scenes within two weeks. Even though her time in front of the camera may have been limited, Morgan believes that her performance was enhanced by her fellow cast members, such as Agudong and Jim Klock (who plays Reagan’s father), as they guided her through filming. 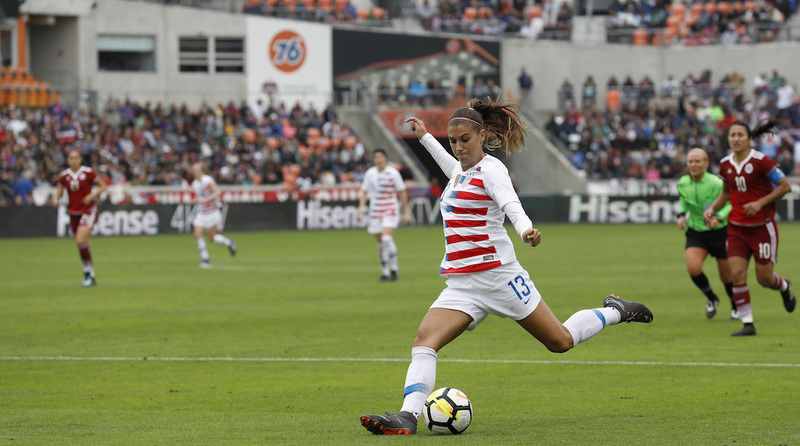 And even though one might believe that acting and soccer are two vastly different realms, Morgan knows that she was able to apply the some of the same skills she uses from the “soccer bubble” to her acting. For the cast members, this movie was also a learning experience, as they found out more about Morgan and soccer. In fact, some cast members began to follow soccer more closely after filming with Morgan. While Agudong was teaching Morgan, Agudong was learning as well and can call herself a friend of Morgan’s after the movie. As for the screenwriter and director, Eric Champnella, the process for making this movie was a labor of love. Alex & Me was inspired by his daughter, who was one of the actresses in the movie. After making the movie Thunderstruck with Kevin Durant, he was asked to do a similar movie with a female athlete such as Alex Morgan, of whom his daughter is a huge fan. He had always seen sports movies about the relationship between sons and fathers, but nothing like that for girls. When he thought the movie was not going to be made, he wrote a heartfelt letter explaining the importance of having an inspirational film like Alex & Me for young girls. After that, things began to pick up; Morgan was able to work on the film, making the movie a reality. The cast and crew believe that this movie is important for young girls, as the significance of having female role models in media has been especially emphasized recently.